JBKO Hall will not be renovated over the summer despite lobbying from RHA leaders. Mitchell and Strong halls will both be renovated. JBKO will have to wait at least another summer to get a facelift. 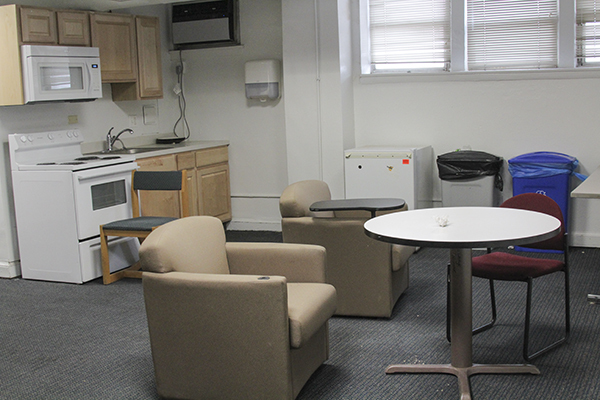 After hearing concerns from students about conditions in the sophomore residence hall, the Residence Hall Association lobbied GW to renovate JBKO along with two other residence halls this summer. But University spokesman Kurtis Hiatt confirmed in an email this week that the capital budget, which will be sent to the Board of Trustees in the spring, only includes summer upgrades to Strong and Mitchell halls. In January, RHA leaders said JBKO, Mitchell and Strong were top priorities after they heard complaints from students about problems like old appliances and broken light fixtures. RHA President Ari Massefski said in an interview that the renovations to JBKO, a hall for sophomores, would have been similar to the ones done in The Dakota last year. Massefski said the University has finite resources, so it may not have been realistic to expect all three residence halls to receive upgrades in one summer. University President Steven Knapp confirmed reports of a budget crunch on campus this week, saying that all divisions saw their budgets cut by 5 percent. “With the money we have, I would rather see them do a really, really good job on Strong and Mitchell and then do a really good on JBKO next year, than try and do all three and make it sub-par,” Massefski said. Hiatt said the renovations to Strong, which houses members of Chi Omega and Pi Beta Phi, and Mitchell, which will be home mostly to freshmen next academic year, were “part of the University’s ongoing commitment to modernize and upgrade its residence halls.” Strong’s elevator is frequently out of service, and students in Mitchell have complained about mold, chipped paint and broken wall panels. Hiatt added that Mitchell’s upgrades would “include replacement of in-room vanities and piping,” and Strong would receive updates to its sprinkler system and a new elevator. This semester, JBKO residents were some of a few students to report heat or hot water outages during cold weather, and the RHA has set up regular meetings with directors of facilities and property managers to improve communication about scheduled outages. Elliot Greiner, a sophomore who lives in JBKO, said he has experienced problems with lights in his room and in the hallways, even after he called FIXit. He said the handle on his refrigerator fell off last week. “My biggest issue with JBKO is that it doesn’t seem to have its utilities in check,” he said. Greiner added that it was a “hindrance” not to have renovations, mentioning JBKO’s closeness to GW’s newest building, the Science and Engineering Hall. “It seems a bit negligent to build this whole sparkling building two doors down,” he said.